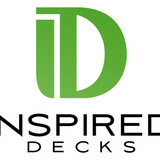 Whether you have your own idea or need expert advice, Screwheads Decking can help! There are many floor patterns & lumber to choose from. Rely on our over 14 years experience - we'll help you make any Racine, Kenosha, Milwaukee, SE WI or Lake County IL deck/porch unique! Chicago Retractable Awnings – a division of Midwest Screens, LLC – is northern Illinois and southern Wisconsin’s leading company for Sunesta Retractable Awnings. We are proud to provide homeowners with customized awnings and shelters for their outdoor living area; bringing comfort, style, and efficiency to life from an all-American product that has revolutionized the awning industry. Founder, Robert Epping believes in a simple credo: “A satisfied customer is a company’s most valued asset.” To that, he has created a company that since 1980 has exceeded the industry standards for concrete placement. Since 1980 Creative Concrete, Inc. has built an unparalleled reputation for excellence in the areas of pricing, quality and service backed by customer satisfaction in the fine area of decorative concrete. All of our referrals have come to us through word of mouth from satisfied clients and their friends. 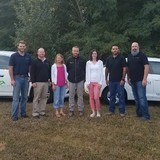 Creative Concrete, Inc. continues to grow our extensive fleet of trucks, staff of finely trained craftsmen and customer service, associates to make sure your home receives the upgrades you desire. Of all the upgrades you can make inside your home, none will likely equal in value and cachet the improvements you can make outside your home. If you consider brick or stone exterior and professional landscaping important, then consider as well what the natural beauty of a stone or slate driveway, walk, patio or pool deck says about your home and your lifestyle. Our design team at Creative Concrete, Inc. can be as imaginative as clients allow them to be. Whether the design calls for basic straight forward work, tight and detained niches or perhaps the most elegant curves, we can execute it perfectly. Curvatures that accentuate walkways, landscapes and pools are our specialty. You’ll find no design is too tough for our artisans. 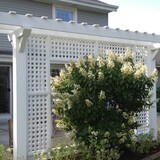 Bristol Screens builds custom porch and patio screens and acrylic weather panels. We also make custom window screens, custom patio screen doors and perform screen repair. What services do deck and patio builders in Waukesha, WI provide? To help you choose the ideal style, configuration and materials for your deck or patio, your deck and patio contractor will survey your Waukesha, WI lot and your home to come up with a design that complements your exterior as well as being structurally sound. He or she will recommend sizes, heights and construction materials that suit your lifestyle and climate, as well as explain the best stain or finish options. Additionally, deck and patio professionals can provide insight into additional components such as outdoor kitchens, patio covers, fire pits, outdoor lighting, arbors and more. Your deck and patio professional might work closely with another Waukesha, WI lawn and landscape professional. Here are some related professionals and vendors to complement the work of decks, patios & outdoor enclosures: Landscape Architects & Landscape Designers, Garden & Landscape Supplies, Stone, Pavers & Concrete, Landscape Contractors, Building Supplies. 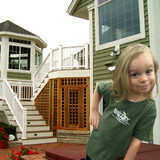 Find a deck and patio builder in Waukesha, WI on Houzz.